The Dar es Salaam Stock Exchange (DSE) opened its alternative market, the Enterprise Growth Market (EGM), on Tuesday, 5 November with Maendeleo Bank being its first listed company. The bank’s IPO price was 500 TZS per share, however the price appreciated to 600 TZS per share on the day of listing. All 9.2 million shares have been subscribed, resulting in a current market capitalization of 5.44 billion TZS. 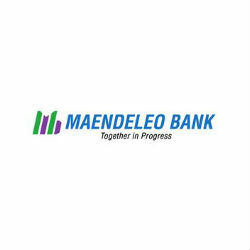 Maendeleo Bank opened its first branch in Dar es Salaam on 9 September, 2013 gaining 500 customers in less than one month. The EGM alternative market was designed to strengthen Tanzanian startups and Small and Medium Enterprises that are unable to meet the requirements to list on the traditional DSE. The EGM expects to list its second company, Mwanza Community Bank, by December this year.